Home » Grand Mal Causes & Triggers » What Causes Grand Mal Seizures? Grand mal seizures, also known as a tonic-clonic seizures, are characterized by loss of consciousness and loss of muscle control. Grand mal seizures occur when the brain’s electrical activity changes, altering how it effectively communicates, causing severe muscle contractions and spasms. MedlinePlus warns that patients who experience grand mal seizures might become incontinent of urine and stool, bite their tongue or stop breathing. When the brain experiences an injury through illness or accident, a grand mal seizure might occur, warns MayoClinic.com. 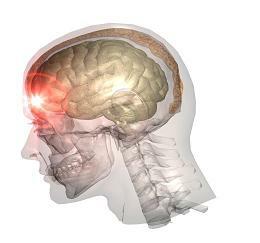 The type of brain injury implicated in grand mal seizures is called an anoxic brain injury. This condition stems from lack of oxygen to the brain, which causes improper functioning of brain cells. Accidents such as near drownings and exposure to elevated carbon monoxide levels can cause anoxic brain injuries. Abnormal heart rhythms and stroke can also cause a brain injury and cause a grand mal seizure, as can trauma to the brain resulting from a severe head injury. MayoClinic.com says that drug and alcohol withdrawal can contribute to grand mal seizures. Drugs that can cause a grand mal seizure include sleep medications and general anesthetics that are used during surgery. In addition, cocaine overdoses and amphetamines can promote this type of seizure, as can overdosing on tricyclic antidepressants, warns the Merck Manual Home Edition, who also says that in those cases where the cause of seizures cannot be identified, they are referred to as idiopathic. Encephalitis, toxoplasmosis, tetanus, rabies and brain abcess are types of brain infections that can alter the electrical activity of the brain. MayoClinic.com states that a past medical history of a brain infection can cause a grand mal seizure. If individuals have low levels of selective nutrients in the blood, a grand mal seizure can occur, says MayoClinic.com. When diabetic patients experience low levels of blood glucose levels, hypoglycemia can occur, increasing the risk of this type of seizure. In addition, decreased levels of calcium, magnesium, vitamin B6 and sodium can also lead to grand mal seizures, which are usually more common in those under the age of two, explains the Merck Manual Home Edition. Also see the interesting article on grand mal seizures called “Emotional Stress And Lack Of Sleep May Cause Grand Mal Seizure“.